Over the years, I have been on the receiving end of panicked calls and inquiries from friends who are parents of high school seniors. They are preparing to send their child, often their first, off to college and maybe they call because I have been talking about the impending empty nest for a long time (my first child’s departure for college was over eight years ago). Perhaps they know I will be sympathetic, happy to talk about thoughts and emotions that are incredibly personal and, without a doubt, complex and multi-layered. Whether a parent is confused or distressed about the changes in their relationships with their teen, the convoluted college process or the idea of a child moving out, I have decided that “the run up” to college is a hard but crucial part of parenting. I define ‘the run up” as senior year (and some) of high school when your child’s moving away to college or some other pre-career track begins to loom on the horizon. 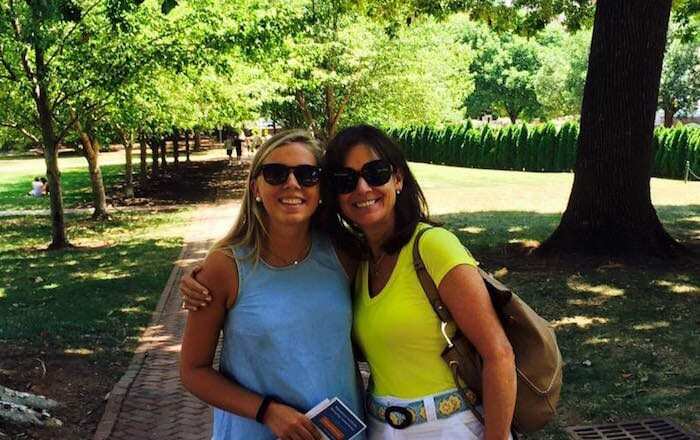 It is an emotional time for the parents of high school seniors – they are saying goodbye to their routine of the past decades, connections to others via that child, and a concrete/clear sense of purpose as a parent. At the same time, most parents come to understand that a shift in their relationship with their child is required and critical. So it is ironic that in the midst of all this stress, emotion (happy and sad) and nostalgia, we are required to do some of our best and most important parenting. Looking back at my three run-ups, much like my friends, I experienced a whole array of emotions. I was often highly distracted from my regular life and, at times weepy. At the same time, akin to to the hyper nesting you do before that baby arrives, I felt an uneasy sense of urgency and somehow this helped me focus on the actual responsibility of “emptying.” This translated into a more proactive approach to providing my child, either with gentle support or a kick in the pants, the opportunity to actively take more control of their own lives. No matter how much independence you have handed over or forced upon your child at varying stages, the run up year to high school graduation seems to be a turning point. It’s a time to shift from being the one in charge to deliberately pushing a child toward leading the way. Yes, I did shed some tears on my own, with the constant parade of lasts but focused on the exciting new life my child would embark upon. I reminded myself that my children needed a role model while they were experiencing their own mixed emotions. I allowed them to talk about their concerns and wishes and I sometimes joked about how miserable I would be without them, to add some levity to the conversation. I kept it “future focused” so they viewed the next phase as exciting and fulfilling. During senior year, there is a muddling of push and pull between child and parent over who will do what. When I announced that something was now their responsibility, I had to just shrug and hope for the best. In some cases I had to force feed the task and require that they complete it. Generally my husband and I stayed on top of knowing where, when and who my children were with and remained very strict about expectations, safety, curfew etc. And yet….that last year it’s a MUST to lighten up IF your child has earned your trust (no kid is perfect.) Of course, I said a lot of late night prayers while I reminded myself, how will they make good decisions in college if they never really had a chance to make ANY (good and bad) beforehand? On the other hand, my youngest reacted vehemently to the “keep it in perspective” strategy, telling me, “When you give me the ‘it’s only one test’ speech, I hear you saying that you don’t believe I can do better. I need you to say ‘go dig in and get back out there.’ Still, I did share with all my children my long view that the concept of getting into the perfect college is no secret formula for a happy and meaningful life. My wisest friend used to jokingly say: “Everything will be fine if you don’t make eye contact with any other parents of high school seniors.” You and your child need to find the approach to life after high school graduation that works for you. There is great advice out there and also well-meaning bad advice. I am eternally grateful for the professional advice from wonderful guidance counsellors, teachers and friends, BUT I learned that my values and my child’s make-up required a different approach to theirs. I facilitated the research and exploration aimed at expanding my kids’ perspectives, helped with college visits and made cups of hot chocolate while they were writing college applications. However, I made sure my children were leading the conversation. I asked a lot of “what do you think?” questions, I suggested that they sleep on decisions overnight, and I urged them to be both realistic but also daring with their dreams. They had the final say on most choices of what colleges to apply to and certainly what they ultimately chose. But I asked probing questions, reminded them of some of their parents’ basic expectations about character and finances, murmured encouragement, and tried, even when I disagreed, to just kept my mouth shut. There are a lifetime of lessons during senior year. How wonderful if your child is rewarded for some of their efforts but they are also likely to experience some heartache over a disappointing outcome. I embarked with my last child thinking I had this college thing down. However, I knew that she was looking at a specialized professional track that I knew nothing about. Despite my experience of sending off two other very different students already, I am now considering selling this last story as a sitcom because of how many little things went wrong. We wound up in the ER twice in different states, and for one scheduled interview, the University had the first shut down ever in its history. In a heightened way, this provided ample opportunity to model flexibility, maintain good humor, be resourceful and learn when to give up to regroup. But I included her in the problem solving and decisions about what to do and we learned together. We have laughed so hard about this now (tears before) but I hope it will be a metaphoric reference point for her to forge ahead in other challenging times. Most kids aren’t usually recognized for their very best selves in high school. I am grateful that we talked honestly at home about personal challenges and disappointments. As a family, we acknowledged their siblings’ and classmates’ talents, and celebrated the success of their peers. My kids learned to be good cheerleaders and, when they were fortunate enough to be acknowledged for an accomplishment, they were modest and grateful for the support they received along the way. You think you know your own child better than anyone, and you probably do, and you think that the adolescent child before you will evolve into a more grown up version. HOWEVER, with each of my children, I learned things about their character, their aspirations, their determination, their personal demons and a bit of their souls in that last year. This is by far and away the biggest gift you will be given during the run up. Gabrielle McCree is an ESL Adult Teacher, Hispanic Resource Center and English Language Institute, Manhattanville College. She is a mother of three, Lori (25), Chris (23), Andrea (18).